For 10 long years I have planned, wished, dreamed and hoped for my first white Swiss shepherd. But not just any white Swiss shepherd would do. I had never heard of white Swiss shepherds 11 years ago when I bought my handsome (claytons) pedigree white German shepherd Merlin. After a year of hassling for his papers I realised they were not pedigree papers at all as they were not issued by the Australian National Kennel Council (ANKC). They were papers from a club not affiliated with the ANKC. When I finally got the papers my white German shepherd had changed breed to a 'white Swiss shepherd'. I realised I had been fooled by people falsely selling pedigreed dogs as the only pedigrees recognised in this country are issued by the ANKC. This led me down a long road to where my wish for a White Swiss Shepherd finally came true recently with the arrival of Iron Akbo-Parchovany imp Slovakia (Ironwulf). I am not a breeder. 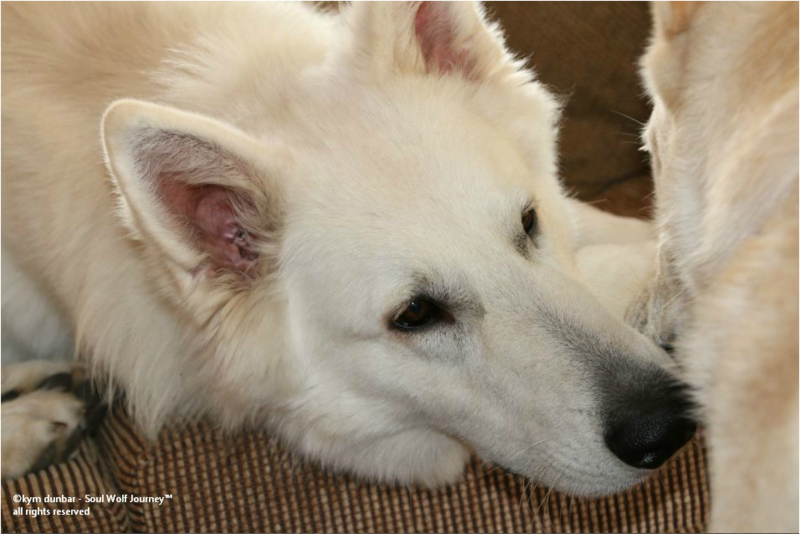 I have never bred a puppy and both my white German shepherds are desexed and have been since 6 months old. So I look forward to seeing the first puppies from my beautiful boy. My dogs live as part of my daily life. This is the very beginning for us and this website will follow my journey with Ironwulf, and the rest of the pack.